It’s gift-giving season! With a chill in the air (or, if you’re on the East Coast, vague breeze and lots of mosquitos) and the tree all set up, the only thing left is presents for everyone you love. Even though we’re well within the 12-day countdown to Christmas, you still got time to pull together some killer gifts. And if you have no ideas don’t trip chocolate chip, we got you covered. 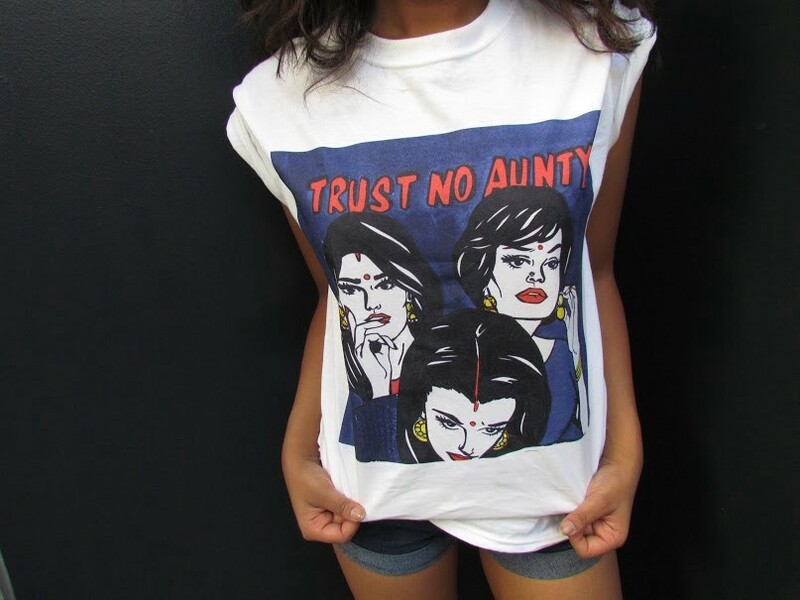 The Kajal team has put together this fantastic list of apparel, prints, coloring books and more from our favorite South Asian artists. We’d like to consider ourselves taste-makers so when you buy this stuff not only are you supporting great independent artists, but you’re validating us. So thank you. Rep your West Side alliance with these graffiti artists out of California. 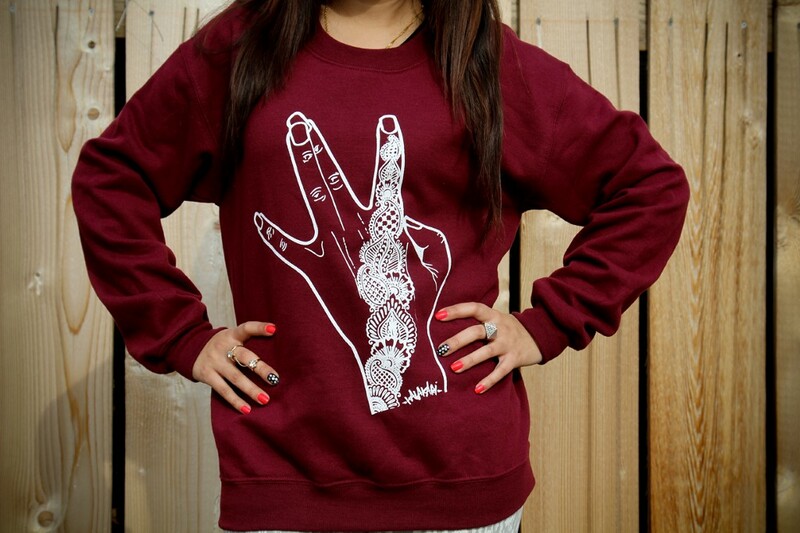 With sweatshirts, crop tops and hats, they’ll keep you and your loved ones fitted. Stuff ranges from $20–45. 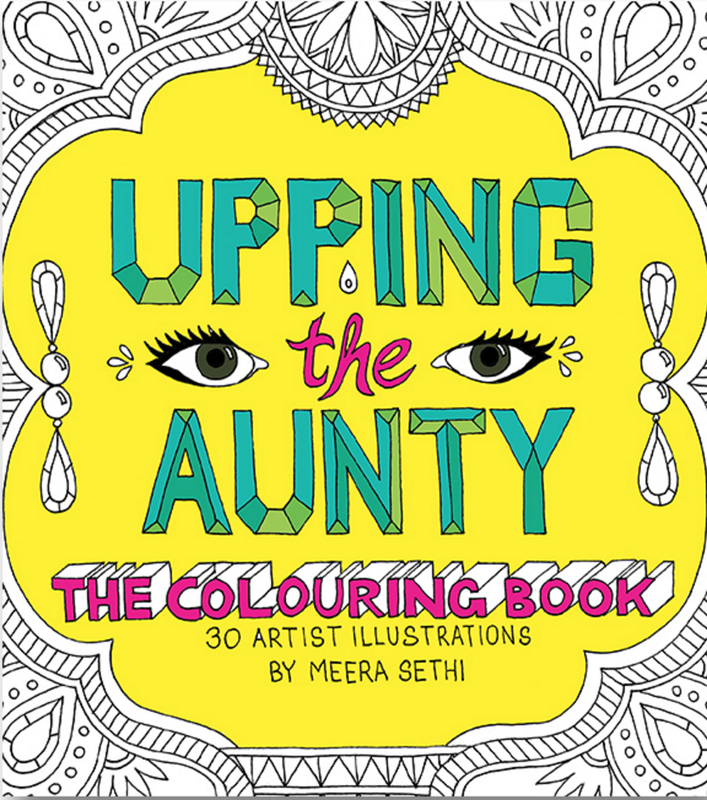 Based on her adorable and hilarious fashion photography series, Sethi’s “Upping the Aunty” Coloring Book is perfect for the stressed out adults in your life. It’s been proven that coloring in the lines can be relaxing and the designs in this book are mesmerizingly beautiful. The book ships from Canada and is about $15 + shipping. 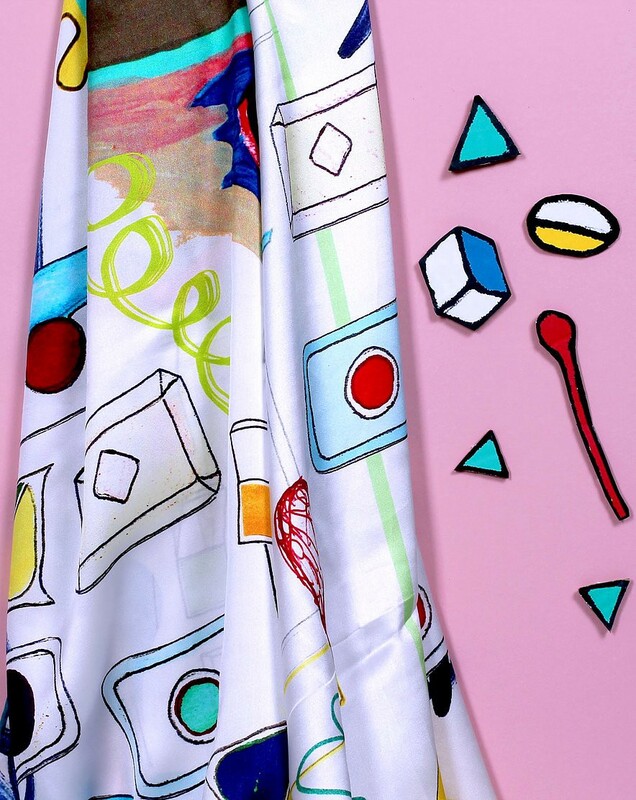 This beautiful scarf with original artwork from our very own Usarae Gul is 100% silk and definitely a statement piece. Wearable art, what more could you want? The scarf ships from the UK and is about $100. Part museum part store, Pardon My Hindi, whose artwork was featured on Heems’ last album, has put together a collection of Desi-American ephemera that you can purchase. Cassettes, posters, flip-flops, hats, tshirts, prints, and one Apu statuette all come together in irreverent harmony. Stuff in the store ranges from $12–885. 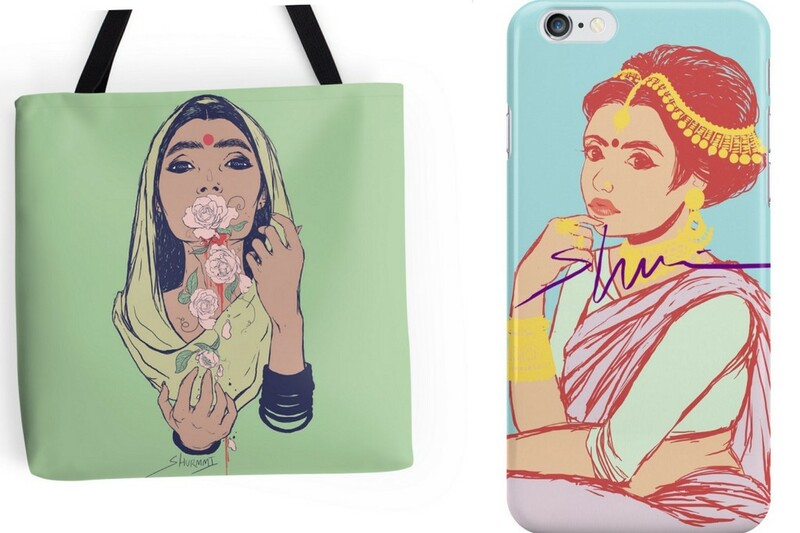 Previously featured artist Shurmmi creates gorgeous artwork featuring Desi women. You can buy her art on totes, mugs, phone cases, prints, and more on her Redbubble site. Products range from $3.40-$127.50. 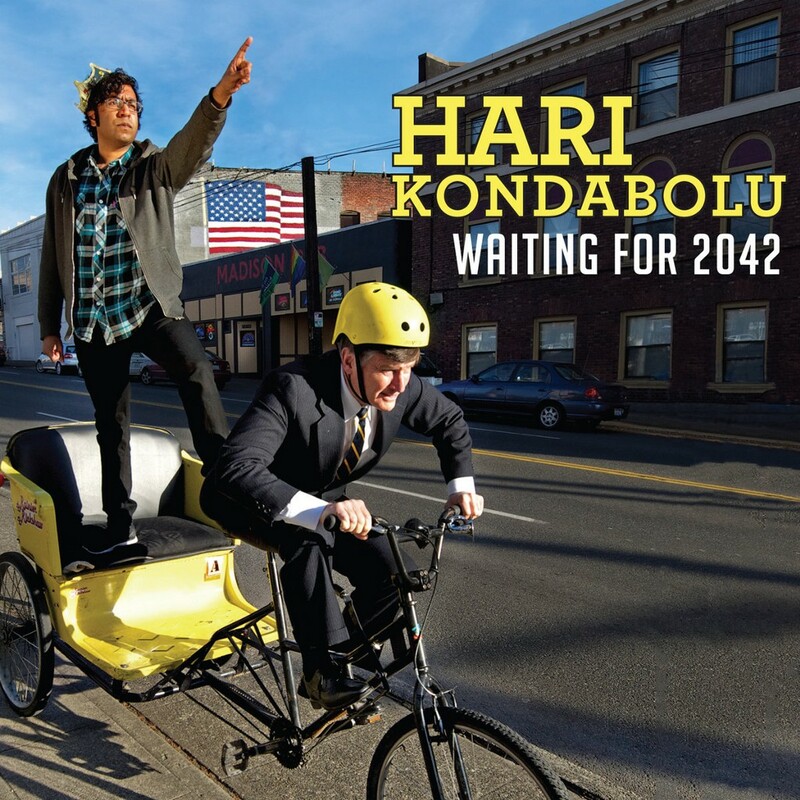 Hari Kondabolu, the South Indian-American comedian from Totally Biased with Kamau Bell, has given us so much comedy gold over the past few years. From his commentary on politicians like Bobby Jindal to his full on exploration of race politics and colonization, his jokes are both funny and real. The album is $7 on Bandcamp. Our much beloved featured artist Hatecopy dishes out side-eyes and verbal smackdowns in her pop-art inspired work. She’s got prints, apparel, and more. Products range from $27–45. 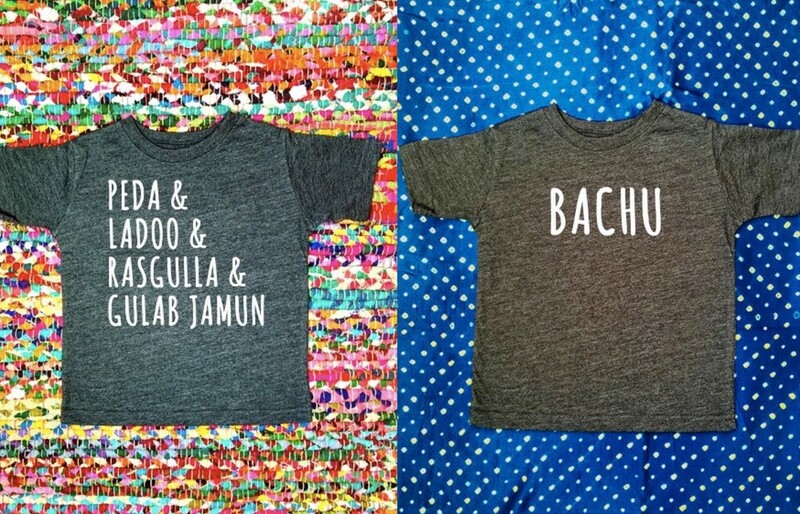 I don’t know what to say — these kids’ shirts are so adorable I wish they made them for adults. Every pun, pet name, and cutsey snarky tshirt slogan you can desi-fy is here. Shirts are $17.50 each. 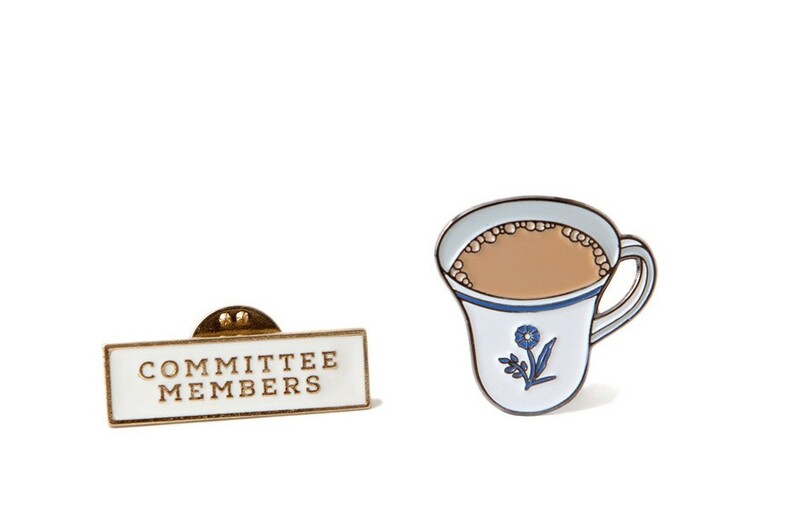 Share the gift of chai with these adorable pins from Committee Members. Induct all your chai club members or keep them for yourself. We’ll understand. The pins sell as a set for $16.